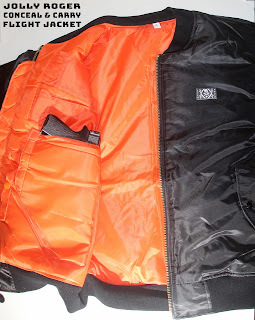 Our new JOLLY ROGER CONCEAL & CARRY FLIGHT JACKETS are sick! And they are cheaper than our previous conceal & carry jackets! For $65. 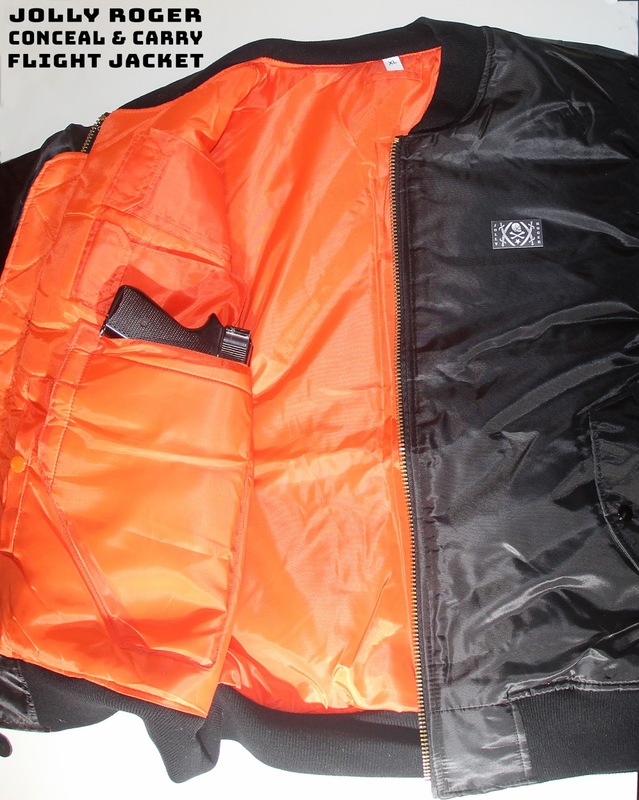 you can be packing two handguns and up to 4 magazines in addition to whatever you can fit in the other 4 pockets and the zippered utility pocket on the left sleeve of this jacket. Sorry to see that you guys live in such fear that you have to carry 2 Gat's in yo jacket just to head out on the streets to Skate. I feel Sad for what the United States has come to and the fact that the fear will never end.